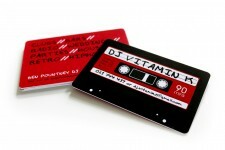 PRINT, IDENTITY Concept, design and layout for DJ Vitamin K business card, printed on PVC. 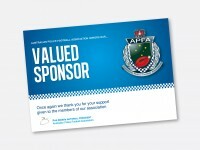 PRINT Concept, design and layout of certificates for the Australian Police Football Association and the Australian Combined Emergency Services. 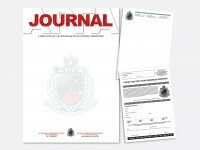 PRINT Concept, design and layout of two types of letterheads and the fax confirmation page for the APFA Magazine. 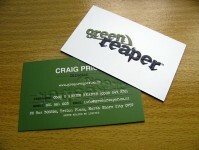 PRINT, IDENTITY Concept, design and layout of advertising postcards for my design studio. 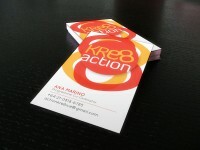 PRINT, IDENTITY Concept, design and layout of Kre8 Action brand identity and stationery. 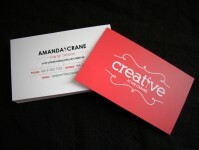 PRINT, IDENTITY Concept, design and layout for my design studio Creative at the Cranes business cards. 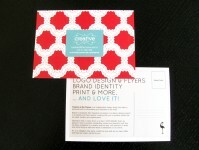 PRINT, IDENTITY Concept, design and layout for Manna House stationery.